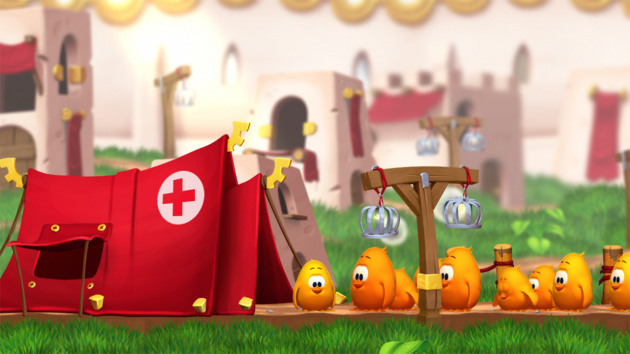 Toki Tori 2+ is a Metroidvania style puzzle adventure. 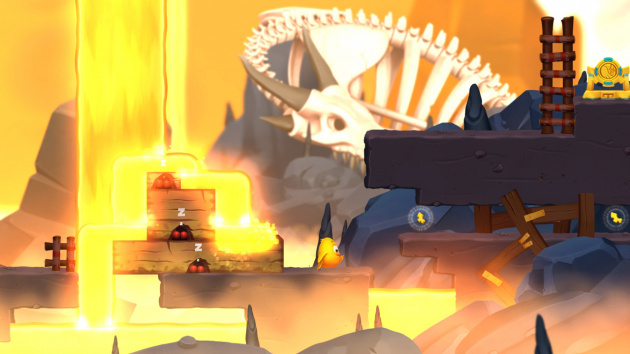 There are no tutorials, there's no hand-holding, no-one tells you what to do in Toki Tori 2+. The fun is in exploring and overcoming the obstacles of the lush forest island on your own merit. Our unlikely yellow hero may be the star of the show, but he won't get anywhere without the creatures he meets along the way. Armed with just the Whistle and Stomp moves, he can influence and make use of these strange creatures' unique abilities. But what's up with that black goo? It's threatening your home world! 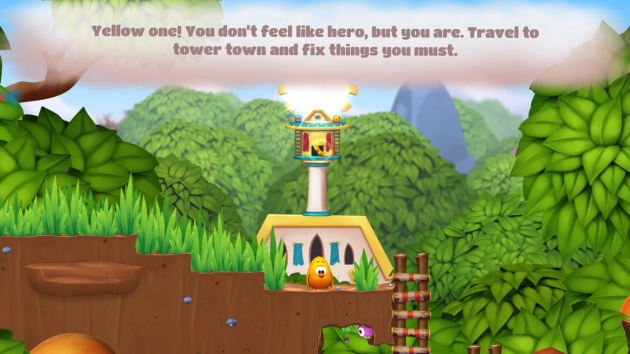 Your goal is to get to the core of the corruption and save the island!